Hello, we’re into the start of the New Year, and I’m looking back over the things I have done, so I can plan ahead for the future. It’s been a good year for me, though it seems to have sped by; and when I look at what work I’ve completed, it doesn’t seem like there’s been a huge amount, but I think I’ve advanced many different areas a little. The main project of course has been The Diary of Otto Kandinsky. I’m really pleased with the way it has turned out. The audiobook is not quite finished yet, but the story is written, and I hope to have it all done soon. From what started out as a few disparate extracts from a fictitious tank commander (written to illustrate several Datavault entries), I’m amazed how the story has grown into a sprawling story charting the life of Otto and his companions. I really like how he grows from a young and naïve recruit to a war-weary commander. And the audiobook has blossomed into something far beyond my expectations – I have listened back to it quite a lot, and found myself so immersed in it, I even had to stop listening once as I was getting a bit creeped out! But, soon this story will be done, and then I want to get straight into recording the Dead Man’s Feast, as that has been on my mind for so long. I’m looking forward to catching up with that story too, as it fits in with the fourth novel. I started writing the fourth story around 2012 I think, but at the time, pressure to find paid work killed off my motivation, and eventually I had to put it down. It’s always a constant struggle, balancing creative work with paid – often, the irony is that when I have plenty of time to write, it’s because I don’t have any paid freelance work (I build and develop websites and museum interactives), so the worry of no income can sometimes paralyse me, and I get nothing done! It takes me a great effort to view that free time as a gift, and just have faith that some paid work will come along at the right time – so far it has, and I’m very grateful to be able to work on my stories. That is why the Patreon scheme is so dear to me - your support gives me a little bit of finacial stability and (most of the time) gets me through that crippling money worry, and allows me to write in the time I am given. So, recently I have been picking up the fourth novel, and getting quite excited about the story. 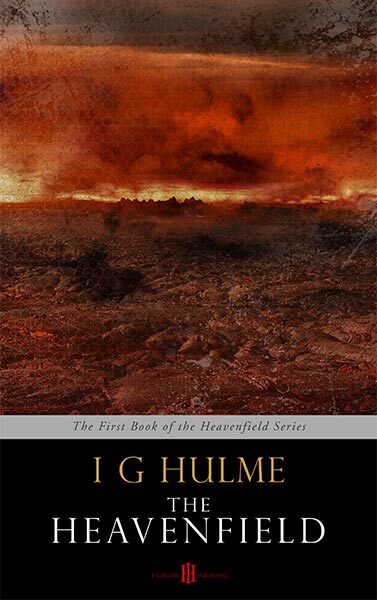 It’s another companion novel, exploring the Heavenfield world from yet another perspective. I had originally wanted to make a more brutal, war-based story, looking at the soldiers involved. It started out like that, but morphed into something more interesting. I’ve done some additional writing for it recently, and now I want to copy up the bulk of the notebooks I wrote four years ago and see where the story is at. The updates are released exclusively to Patrons of the Heavenfield, as a thank you for their ongoing support.